Nissan says Japan plant will make hot-selling Rogue for U.S.
Nissan sold 23,243 Rogues in June, up 54 percent from June 2014. Editor's note: This report has been corrected to reflect the Kyusgu's Rogue production rate. NASHVILLE -- Nissan’s red-hot U.S. sales of its compact Rogue crossover are roiling global factory production. The automaker said today that next year its plant in Kyushu, Japan, will begin building up to 100,000 Rogues annually for the U.S. market. The move will spell the end of the Rogue Select, the lower-priced “last generation” trim package of the vehicle. When Nissan introduced the current generation of the Rogue in late 2013, built for the first time in the United States, it retained a limited flow of previous-generation Rogues from Kyushu to satisfy price-sensitive U.S. shoppers. Now U.S. demand is pulling Kyushu into full-fledged support of the current generation. 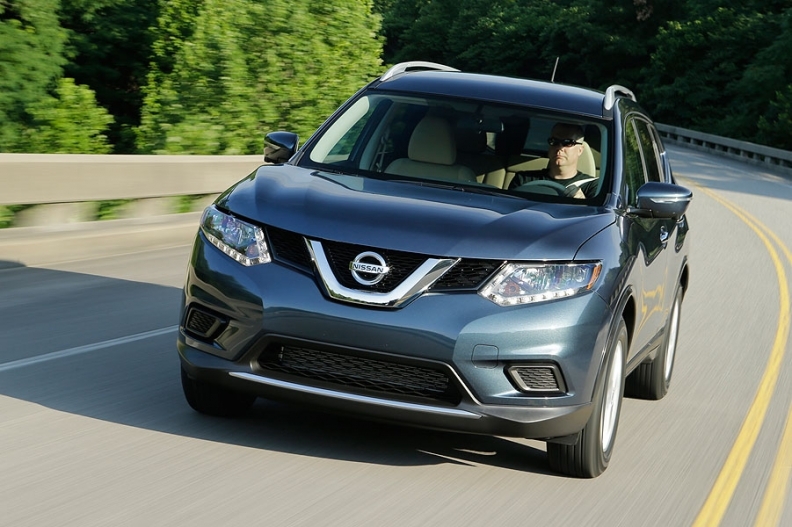 Nissan sold 23,243 Rogues in June, up 54 percent from June 2014. For the first six months of this year, Rogue sales are up 36 percent to 135,397. The Kyushu solution for 100,000 Rogues a year is on top of the Rogues streaming out of Nissan’s Smyrna, Tenn., factory at a rate of more than 150,000 a year. In addition, as many as 80,000 more are scheduled to come from a Renault factory in South Korea. That far exceeds the volume potential that Nissan originally anticipated for the crossover when it decided to move production to the United States back in 2011. At that time, Nissan assumed a factory capacity of 100,000-120,000 vehicles a year would suffice.